Physical activity increases blood flow to the brain, feeding it with oxygen and learning-boosting nutrients like glucose. In a study, researchers found that 15-45 minutes of exercise before school reduces fidgeting among children by 50 percent. In another study, with different groups of students, the group that exercised the most did the best on tests. With these studies, it’s no surprise that children’s exercises are so important for our children’s health. 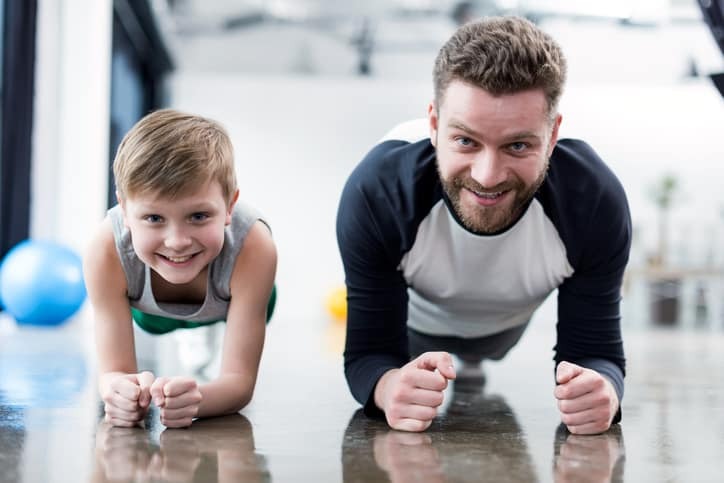 Listed below are some Mindful Exercise ideas to help you get your kids active. Reward good health with positive incentives. Does your child want a new pair of tennis shoes or a new team uniform? Ask him/her to work-out for it by exercising with you in the mornings for a month. Each day, take a 15-minute jog around the neighborhood or take the family dog for a 30 minutes walk. When you create healthy fitness habits with your kids, you can easily reinforce this behavior with positive rewards! Challenge your kid to a dance-off. Select a tune and come up with an outrageous dance. Work your cardiovascular system. Get complicated with aerobic dance moves. Get out of breath. Sweat! Have your entire family participating and scoring each dance-off at the same time. Go after 10! Make a ritual that before leaving a room/entering a room, the person has to do 10 jumping jacks or 10 pushups for a week. The person that breaks the rule must be submitted to a family tickling! Laughter is a work out too!